Wow. 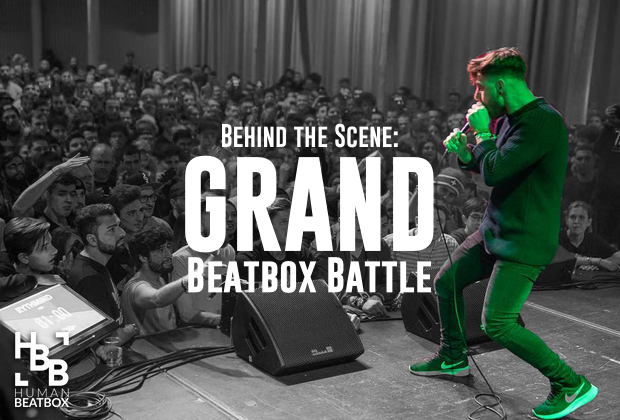 This was my third year at the Grand Beatbox Battle! I am not trying to brag here. I actually said to myself to skip GBBB this year in favor of traveling to the Beatbox Battle World Championships (yes, I am going still). 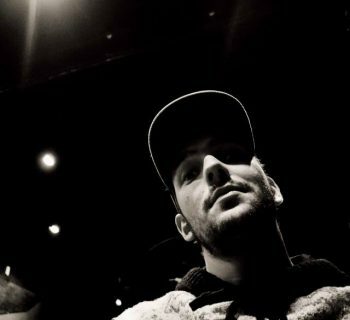 The change happened during the 2018 American Beatbox Championships when Pepouni asked if I was going. Pepouni, Rosy (Pepouni’s mother), Scott Jackson, Sinjo and I were driving through NYC looking for a place to eat. Sinjo and Pepouni were discussing the wildcard results when Pepouni turned to me and asked if I was attending. I said no. One hour later, I am looking at flight prices. *Pepouni is excellent at negotiator. So jump ahead to the end of February, right before GBBB. 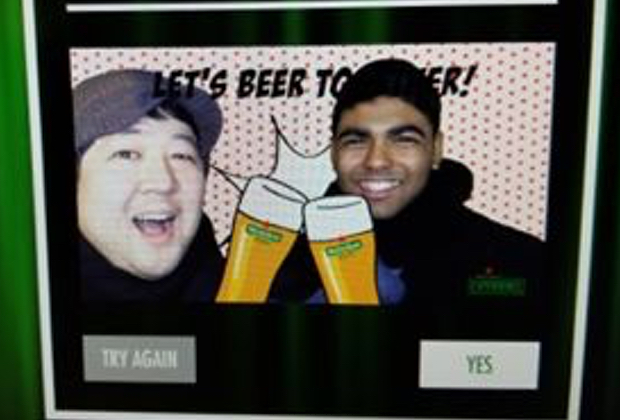 I normally travel alone, so for the first time I was traveling with a friend, Lalit, aka Choicebeats. Lalit and I were at the 2017 Japan Champs together but we flew separately. We got to hang out with some European peeps outside of Switzerland before the event. I also want to note that Europe was experiencing snow and insanely cold weather. 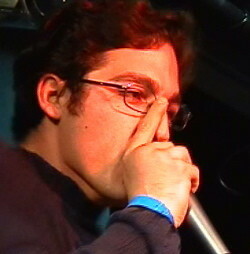 Many beatboxers experienced flight issues. Luckily we got to Basel safely! So now I am working the event as a cameraman. It was a great crew too. I was stationed on the left side of the stage with Big Ben, who was getting the crowd reaction. During the tag teams, there was a mosh pit forming. Cue Ben taking his camera off his monopod and off he went, diving into the crowd with his camera. I honestly can’t wait to see how that looks. You may notice the thumbnails for the videos are slightly different from past years. This was because Madox, the head cameraman for the event, set up a photoshoot studio in the basement of the venue. HoneyComb was the judges’ reaction cameraman. The main event took place at the Volkshaus concert hall. 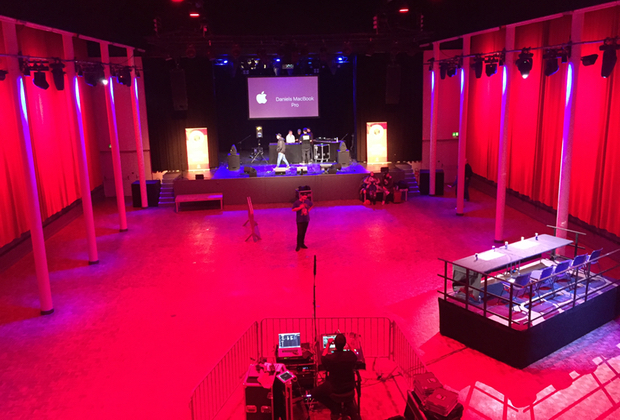 This was the same venue as 2016 and had a better sound system but a rather dark lighting. It’s in walking distance from the hostel, which would’ve been nice if not for the snow falling the entire time at the venue. But what was very special was the multitude of new competitors and attendees, some traveling to Europe for the first time! 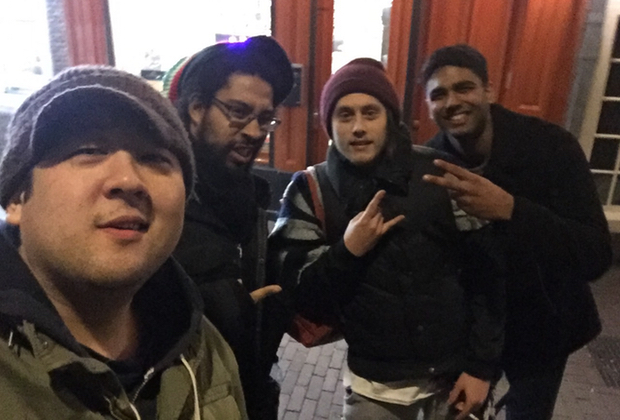 As always, I want to talk about all the new beatboxers I met on this trip. Damn, I love this kid. He is as funny as he is talented. He took home second place at GBBB, which is fantastic given this was his first international battle! 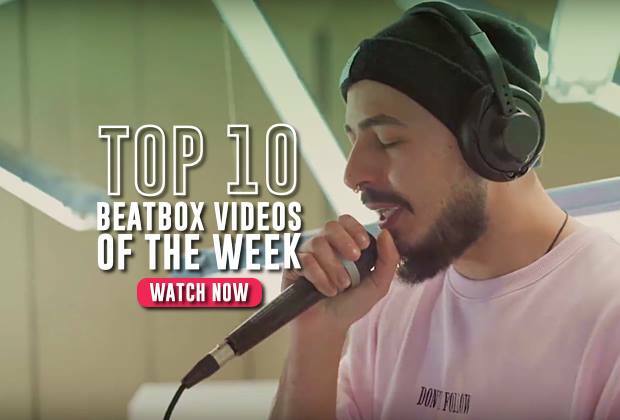 Check out our Guess That Beatboxer series: The GBBB Editions has his sega sound as the bleeps! IMAGINE THAT! Frosty is one of those guys that rarely smiles, but you can tell he’s smiling on the inside. It was fun to see him and D-Low interact. You can tell the two are friends before tag team partners. So the “Imagine That” meme that is going around is a joke between D-Low and Frosty. Apparently, Frosty gets very excited when ordering food and says “Imagine that” when fantasizing about what they will order. At least that’s how D-Low describes it. 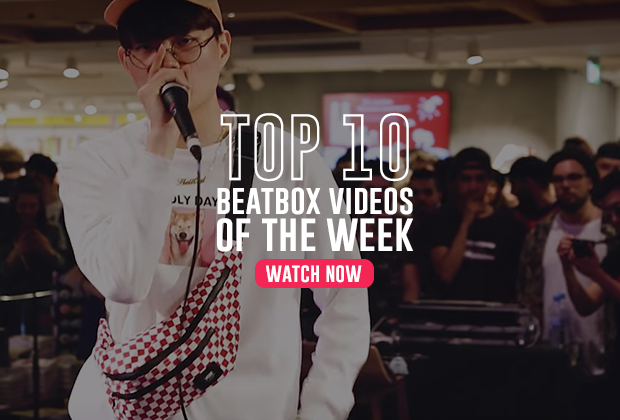 The country that produces amazing beatboxers like Roxorloops, Big Ben, and Supernova is seeing growth in its community and FootboxG is definitely one of those rising stars. Sadly he missed his elimination because of flight issues. He didn’t seem too upset by this, which is a great attitude. Some beatboxers get depressed by smaller disappointments, but FootboxG seemed just as content jamming with everyone. 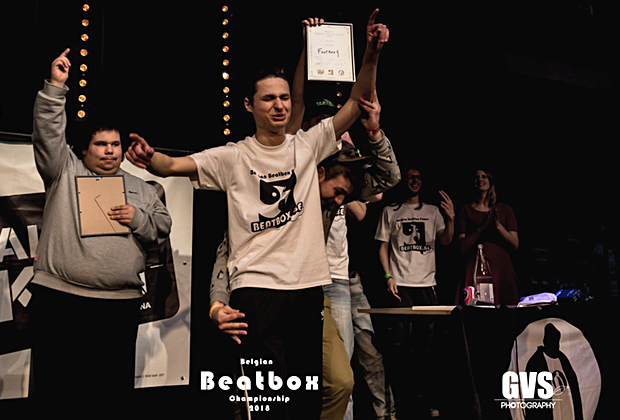 FootboxG won Belgium champs while writing this article. CONGRATS, FootboxG! I was at the 2015 World Champs but never got to talk to Robeat back then. HerShe, from Boston, and I sat with Robeat during breakfast. HerShe fangirl’d a bit when she met him, but Robeat was very excited to be at the event too. He brought a keyboard that people got to play with. I mentioned earlier that i was in attendance at the Japan Champs. I was looking forward to meeting Show-Go when I learned he wasn’t competing. So I was happy to finally meet him at GBBB. A year prior, T2 and I were discussing how to do his double voice and I wanted to talk to Show-Go about it. But as it turned out, I wasn’t the only person that was randomly doing that sound at him so i backed down. The flight must have been exhausting for him as he was asleep quite often. 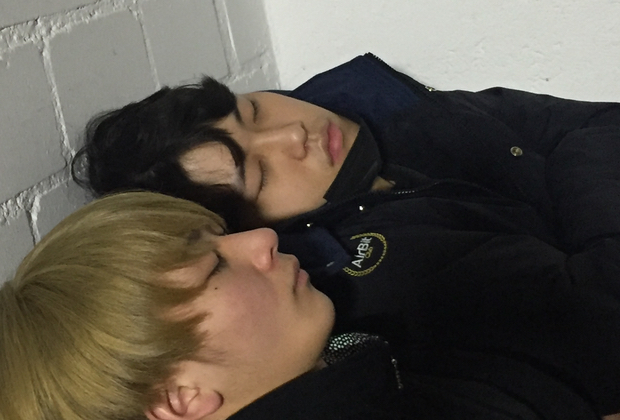 Show-Go and Bigman napping at the venue. Is this creepy? Let’s talk about the elephant in the room. Yes, Codfish won. D-Low lost. Take a deep breath. Everything will be okay (apply this to #SaveBery, #InkiesSecondRound, etc). You may disagree with the results. That is fine. What is not fine is acting like this is a big deal and complaining at the competitors, the organizers, and the judges. So let’s talk about it. First off, no, neither Pepouni nor any of the members of SBX “paid off” the judges. This is probably the most disrespectful comment to Swissbeatbox and the battle community as a whole. In fact, Pepouni was surprised by the results as well. The vote was 3-2 in favor of Codfish. Yeah, it was close. Afterwards, NaPoM told us the results and his reasonings. Respectfully, the judges’ reasoning doesn’t need to be discussed. But what can and should be discussed is the transparency of the their votes. Some of you may notice that the votes for the earlier battles are shown but those for the finals are not. This is because the finals’ results are announced during the awards ceremony, making a “big reveal” at the end of the event and not because they are hiding the votes. As judging becomes more and more criticized by the outer community, both Pepouni and many in the community agree that all battles need to be judged live and not behind closed doors. Understand, WE don't believe this to be necessary, but only to appease the growing community that lacks the trust of those that perform at and those that organize these events. I want to leave on a happy note though. The last day of GBBB, I was preparing to head to a hotel closer to the airport. A gig I had in the States required my utmost attention and staying at the hostel would have been too distracting. I don’t remember how the conversation came up, but before I left the hostel I got this great clip of Gene reacting to a famous Youtube video. Not going to say what clip it was, but this reaction is priceless. If you want the full clip, send $250 to the address…. Just kidding.